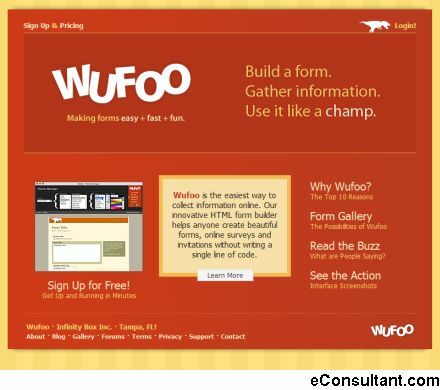 Description : Wufoo is an Internet application that helps anybody build amazing online forms. When you design a form with Wufoo, it automatically builds the database, backend and scripts needed to make collecting and understanding your data easy, fast and fun. Because Wufoo host everything, all you need is a browser, an Internet connection and a few minutes to build a form and start using it right away.